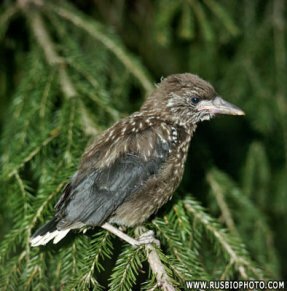 The Spotted Nutcracker is very fond of hazelnuts, and put them often away on the ground as deposit for winter-food. 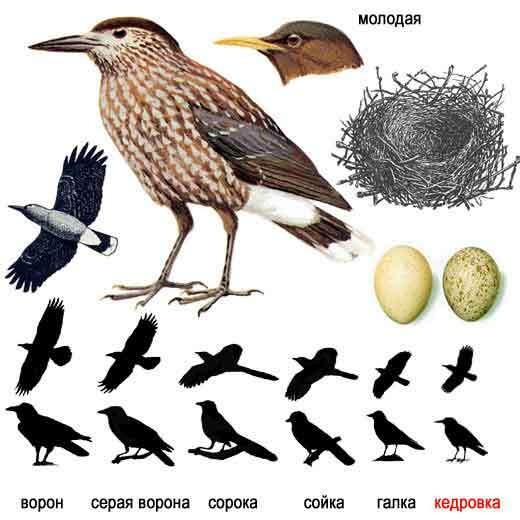 Like ordinary crows it sits in the top of a tree, 'singing' its 'kraa-kraa'. 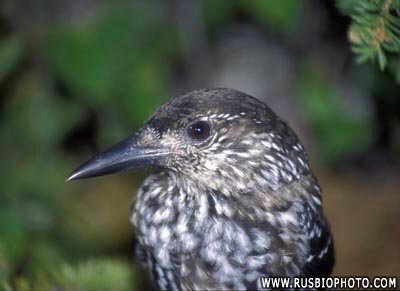 nutcracker may come and stay during the winter in Southern Norway, as happened in 1995.